Due to the fact that around 85% of women in the world suffer from cellulite problems, there are a vast number of companies who are attempting to crack a market that is certainly very lucrative. A product called Slendex is the latest to try and win over customers and with the treatment claiming to reduce the symptoms in as little as two weeks, it’s no surprise to see plenty of euphoria about it. Following on from the above, this review will take a look at all the pros and cons and form a valid conclusion. Red Algae Extract – This component of Slendex is charged with the task of burning fat. The ingredient is completely natural, originating from the foot of the ocean, and aids with draining fatty acids and eliminating unnecessary products from the body. Pink Pepper Extract – Similarly to the previous ingredient, Pink Pepper Extract is also included in Slendex for fat burning purposes. However, it manages this by lowering the protection barriers against lipid droplets. Microalgae Extract – This is a completely different ingredient as it has absolutely nothing to do with any fat burning reasons. Instead, Microalgae Extract has been implemented into Slendex to affect the appearance of the outer layer of skin, with the ingredient synthesising the production of collagen. Will Slendex work for you? Slendex is one of the few products to benefit from various clinical studies. The product has been issued with lots of praise following its performance in these studies, with the general evidence suggesting that most people will see the areas where they apply the product reduce inside in just over a month. Moreover, those people who took part in the tests found that on average, an improvement in the appearance of cellulite would occur within several weeks of applying the treatment. However, it’s not just stats that suggest that Slendex will work for you. The product has been exceptionally well received in the media and the fact that various celebrities, such as Debra Stephenson and Billie Faiers, have endorsed the treatment gives it a very good reputation. 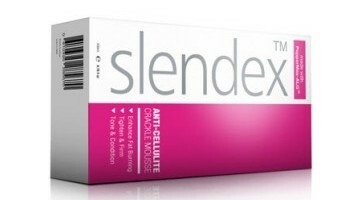 Does Slendex have side effects? With Slendex being a completely natural course of treatment, few will be surprised to hear that the product arrives without any adverse side effects. It has been clearly established that Slendex is a product backed by a huge audience. The media seem to love it and with the statistics also being very favourable, it’s no surprise to see that more and more women are turning to the solution. Bearing this in mind, we think Slendex is a product that should definitely be tried if you are currently suffering from cellulite complaints. If you have any questions or concerns, please refer to the official Slendex website, or contact the merchant directly. Only comment below if you have used Slendex before and you would like to share your experience. Don't forget to use the star rating system.